What is REBT? What does it do? I'm running a program of workshops throughout the year. The first was a success I'm happy to relate. Without exception all participants said that Ellis' ABC Theory of Emotional Disturbance has great potential for students in schools, educatively and therapeutically. They left the one hour session with a powerful tool to teach their students how as constructivists they can learn to manage themselves more effectively to make themselves 'less self disturbable' as Albert Ellis said. 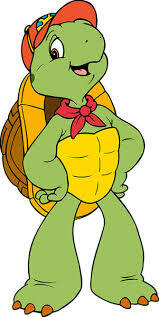 The next workshop we look at a favourite book character Franklin the Turtle and examine how he can help himself deal with disappointment via the REBT model. - We learn how to disturb ourselves less often.